Discussion in 'Android Tablet News' started by xaueious, Aug 24, 2010. 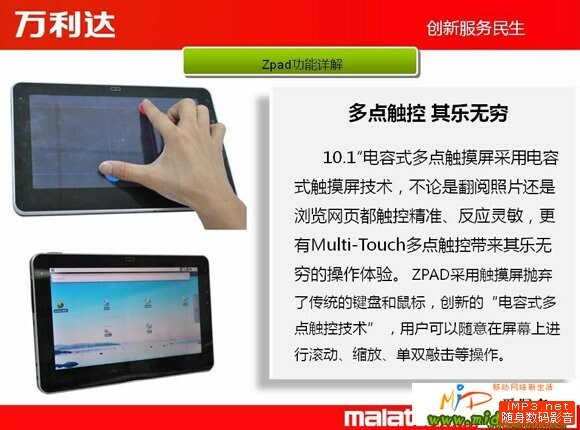 Catalog pictures of the upcoming Malata Zpad were leaked briefly before they were taken down. Malata is considered one of the largest shanzhai firms in Shenzhen. These may or may not be final, but the device does seem to be well on its way to being launched very soon. 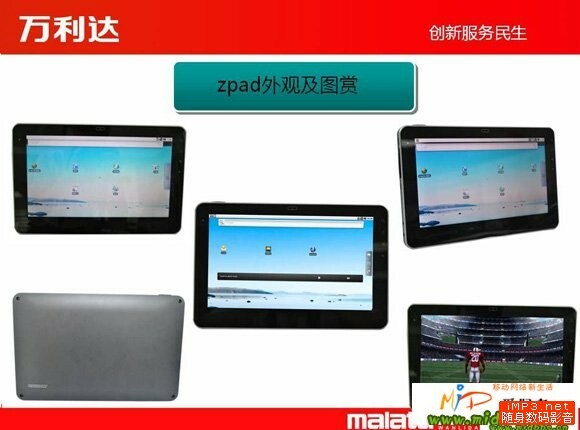 Malata has been recruiting Android developers for their Zpad since the 12th this month. Preliminary specifications include Nvidia's Tegra 2 dual-core Cortex A9 CPU at 1GHz, 10" TFT-LCD display at 1024x600, Android 2.2, and 1080p support. It is also supposed to have a capacitive multitouch display as well as wireless n support and bluetooth connectivity. It will also come with a low resolution front facing camera. It is also listed to have 1GB of RAM. Battery life is listed to for 6-8 hours of continuous video playback. It is expected to launch well below 3000RMB (450US). In line with other offerings, the device should be shipping sometime next month. With Cortex A9 devices now entering the market, and more Cortex A8 devices in the pipeline, it may not make sense to spend money on any ARM11 based devices right now, which are incapable of Adobe Flash even with an upgrade to Android 2.2. This thing looks quite amazing. In consideration of the technical specs it IS an iPad-Killer for me! 1GB of RAM in combination with at least 6 operating hours and a multitouch screen sounds too good to be true and makes this tablet more than interesting for about 350&#8364;. Let's wait for the first reviews!!! Nothing is official, but wifi only version and 3g version. wifi only version rumored to be 2999RMB retail, and 3g version at 3999RMB. For now. Looks interesting. I'm looking for an android tablet for mobile web app research. I need wifi only (no 3G) and bluetooth. This looks like it might fit the bill. Looking forward to more info. 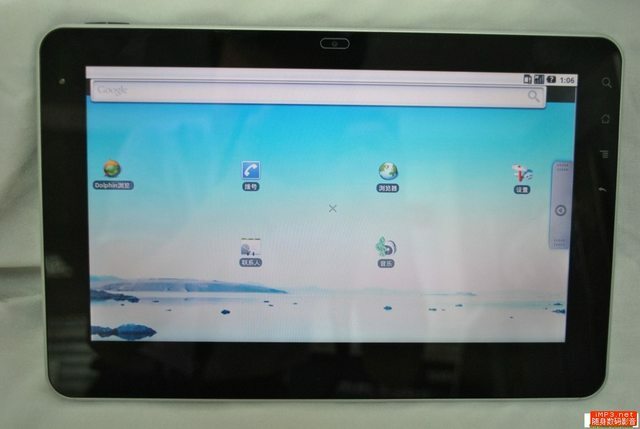 i WANT ONE,JUST NERVIOUS, BECAUSE AS IT HAS BEEN MENTION, THERE ARE SO MANY TABLETS IN THE PIPELINE,HOW DO i CHOOSE? tHIS TABLET HAS WHAT i THINK i WANT,BUT MAYBE THERE WILL BE OTHER FEATURES THAT i DIDN'T KNOW i WANTED. i'M GLAD i'M iN THIS FORUM,MAYBE SOMEONE WILL GIVE THAT PERFECT REVIEW,TO HELP EVERYONE DECIDE. i HAVE THE MONEY BUT HOW WILL i KNOW i MADE THE RIGHT CHOICE? hOW WILL YOU DECIDE THIS IS THE ONE? JUST COURIOUS.....tHE OTHER PROBLEM IS THERE ARE SO MANY TABLETS IN THE PIPELINE,EVERYONE HAS A PROTOTYPE, BUT WHO WILL BRING IT TO MARKET? aND WHOSE JUST TRYING TO CREATE BUZZ. Get the Malata Tegra 2 from Texas for only $411 Shipped!